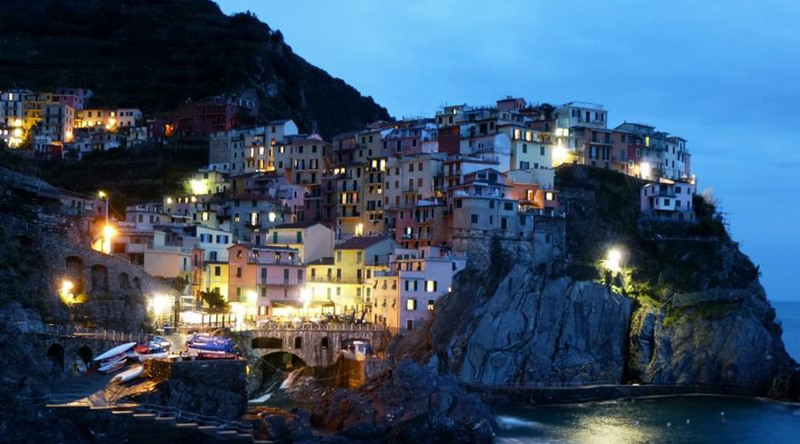 On this page we will try to provide all the informations to visit the Cinque Terre National Park. The first question we often receive is: how many days are needed to visit the Cinque Terre? this amazing and unique portion of the eastern Ligurian Riviera has to offer, probably few weeks are not enough. We suggest not using the car, departing from Levanto the first option is to visit the five villages (Monterosso al Mare, Vernazza, Corniglia, Manarola and Riomaggiore) by train. 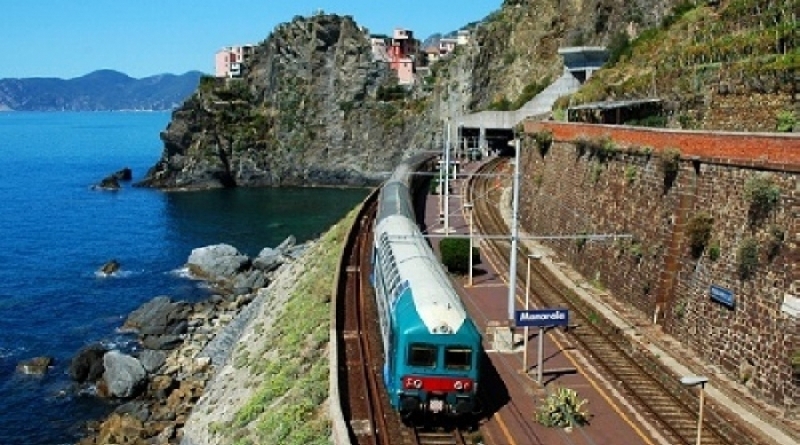 The train runs frequently from 1st of March to 1st of November, the Cinque Terre Express connect Levanto to La Spezia every 30 minutes. 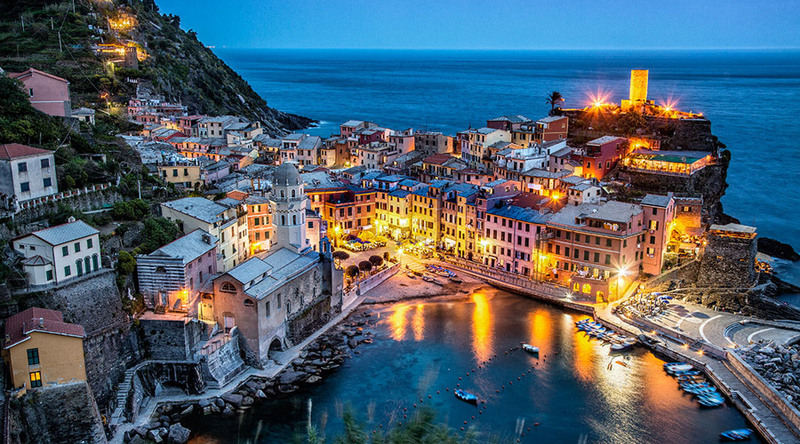 If you choose for this option it is necessary to purchase the Cinque Terre Card which can be found in all the local tourist offices and in the park info-points. It is also possible to buy it online by clicking on this link avoiding long lines. Our favorite route is: once you get to the Levanto train station you can take the Cinque Terre Express to Riomaggiore, after visiting it, we proceed to visit the other four villages, always using the train: Manarola, Corniglia, Vernazza and Monterosso al Mare. Another possible solution for visiting the Cinque Terre villages is the ferry boat. It leaves regularly from Levanto every morning at 10 am from March to late October. Travelling by ferry is very suggestive and the views are special, it is also possible to visit Portovenere, the boat returns to Levanto at about 18.50. It is also possible exploring the area trekking between the towns, it is the most challenging solution but in our opinion the most suggestive one. Starting from the promenade of Levanto you will be able to reach Monterosso in 2 hours and 30 minutes, the path is very scenic and quite challenging. The average distance between villages is apr. Two hours and it is obligatory to purchase the Cinque Terre Card. Our personal pick? Starting from Levanto, visit the Portovenere by ferry and after use it to get to Riomaggiore. From Riomaggiore, trek to the sanctuary of Montenero, then proceed along the road to the sanctuaries up to Volastra. From here a very suggestive walk is the path that passes through the vineyards and leads to Corniglia, for those who still have energy you can continue by trekking up to Vernazza and stop to eat in one of the restaurants on the square, then by train you can visit Monterosso and later return by train to Levanto in time for an “aperitivo” at the sunset.